Our superb 18 hole, 6,278 yard, par 71 course dates back to 1892 with the design influenced by such luminaries as James Braid, Harry Varden, Alistair Mackenzie & Sandy Herd. In a secluded location the course is set in 120 acres of stunning, tranquil parkland. With a mixture of undulating and relatively flat tree lined fairways either side of a stream meandering its way through the course. Having hosted National and County competitions the course is naturally very highly regarded and offers a great test for players of all abilities. 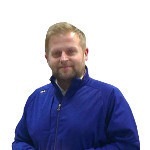 The head PGA Professional at Preston Golf Club, Andrew Greenbank, has been with the club since 1997 and has a wealth of experience in golf tuition and operating a golfing academy, including Pro shop management. He has a broad network of contacts, suppliers and sponsors which help support the golf club as we move forward.